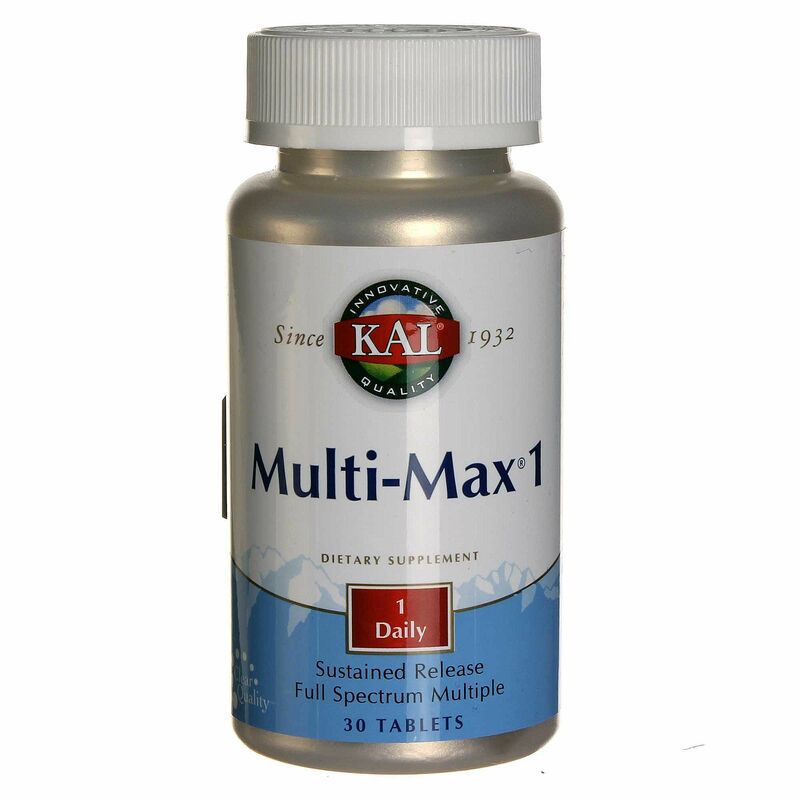 Get all-day support for improved health and wellness with Kal's Multi-Max 1 Sustained Release. Multi-Max 1 Sustained Release isn't like other multivitamins. This unique formula blends essential nutrients for improved heart health, cognitive function and immunity with rich antioxidants for improved full body protection. 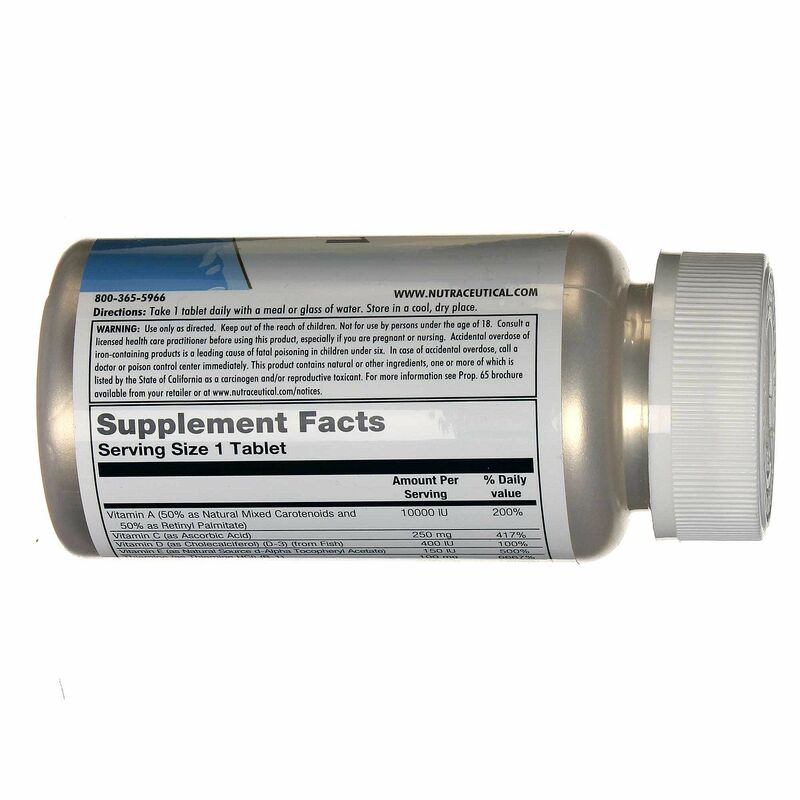 It also contains important ingredients for bone density, energy production and synergistic nutrient absorption. 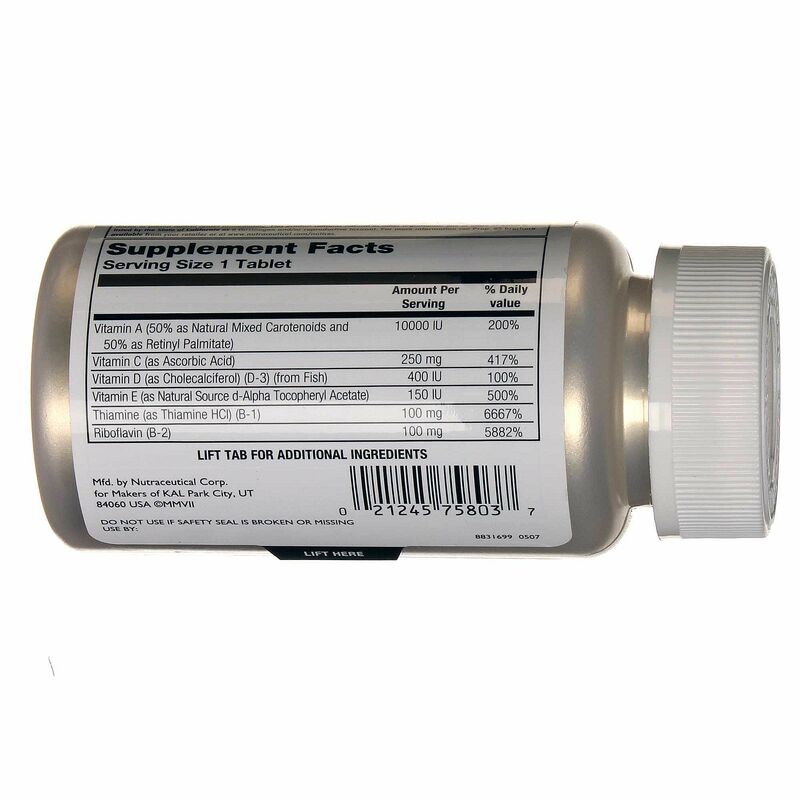 Each dose delivers potent doses of vitamins, minerals and bioflavonoids in a unique delivery system that allows for extended nutrient release. Just take one tablet daily to encourage healthy wellness and longevity. 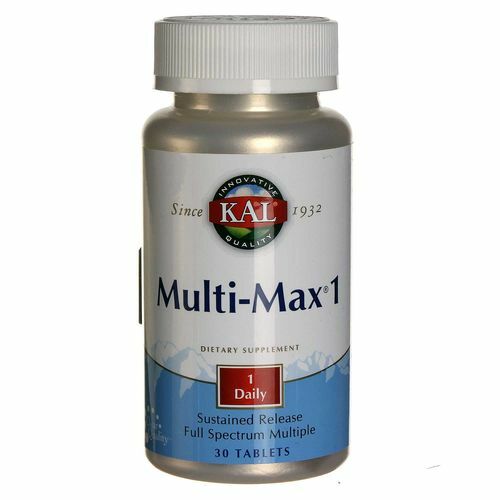 Multi-Max 1 Sustained Release is one of many exceptional multivitamins from Kal. Order yours today at eVitamins!